Kanangra is by far one of the most beautiful but difficult areas for canyoning. Classic open canyons span the clifflines in the area. Below is Kanangra Main, one of the most difficult. 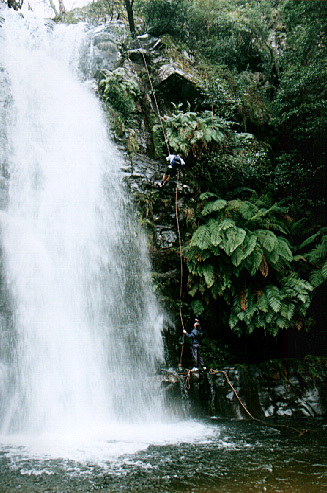 One of its highlights is the abseil next to the 150m waterfall. Not for the beginner, this canyon has already claimed one life. Above, Liz on the second abseil Dione Dell. 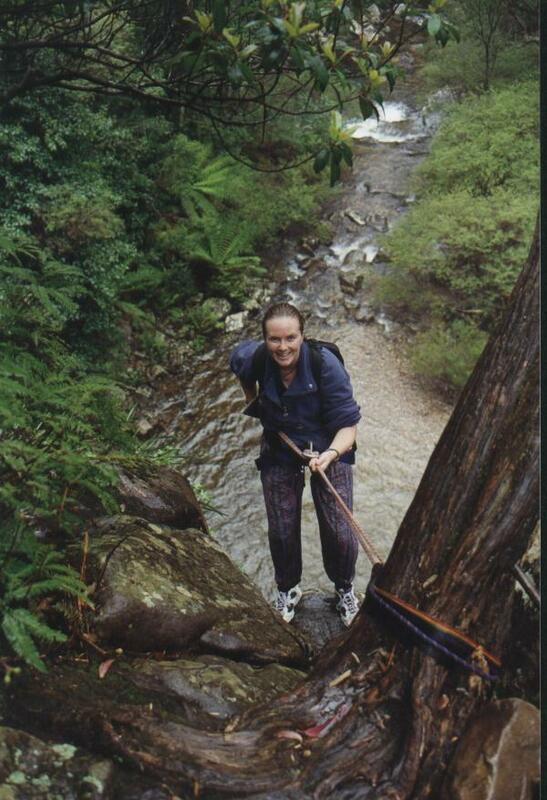 Dione Dell is another beautiful canyon in the Kanangra area. Pictured is the second abseil. There are four abseils in the canyon all of 30m, unless you go the wet option. You can then rig a 50m abseil from the top of the third. 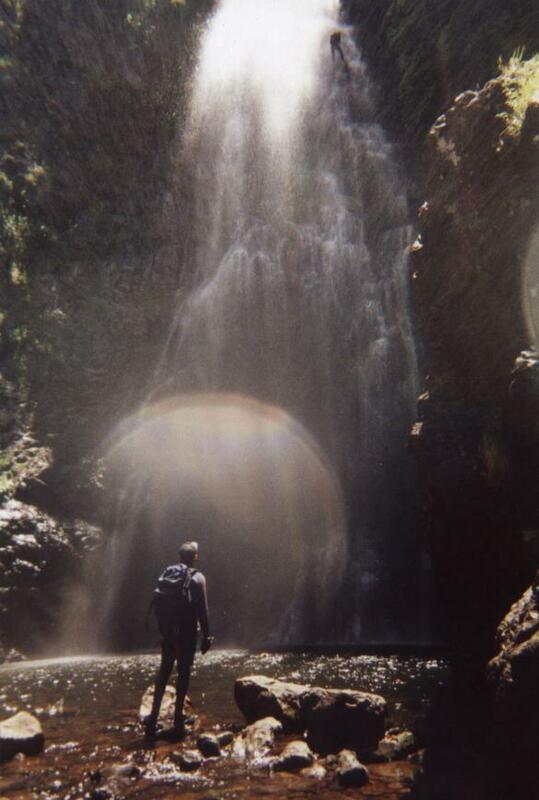 The canyon is met at the end by Margaret Falls, 110m of vertical. Yet again another spectacular view down into the valley below.